← Is Apple’s New iPod Touch the best budget #mojo device? 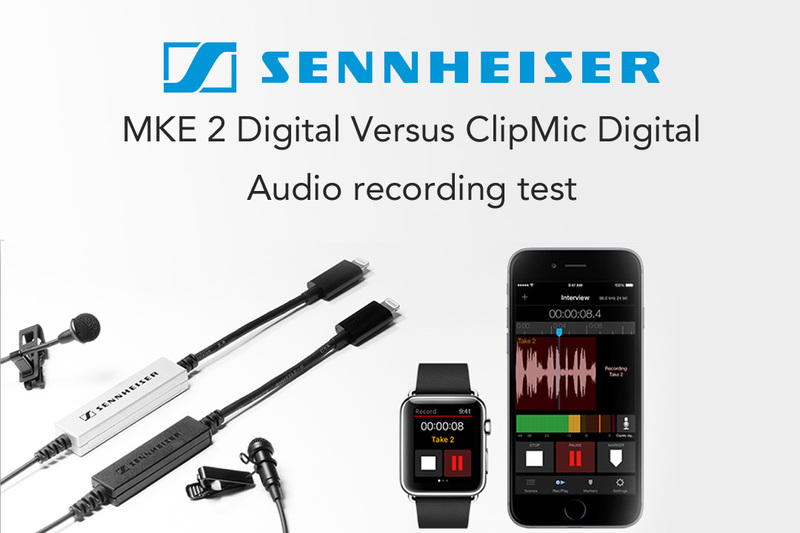 I’ve just taken delivery of the Sennheiser MKE2 Digital Lavalier mic for iOS products. I got the ClipMic Digital a few weeks back and did an unboxing video and audio test in this blog post. Given the price difference between the MKE2 Digital (RRP €499) and ClipMic Digital (RRP €220) I wondered if I did an audio test using them similtaneously would there be a discernable difference in the quality of the recordings. I used the Apogee MetaRecorder companion App for the recording test on two iPhone 5’s and then imported and synched each (mono) audio track from the App into FinalCutPro to use with the footage shot on Google Glass. Its not a very scientific test to be fair but I was interested in the results. In the Video I panned the two track left and right so if you use decent headphones to listen to the video you should be able to notice the subtle differences. But just in case you don’t notice any difference I’ve uploaded each recording from the App as an individual track on Soundcloud also. I’m curious to hear what you think. For me the MKE2 is cleaner, less hiss and not quite as heavy on the bass but it was interesting to note that at -18dB the ClipMic recording level was higher than the MKE2. It is a smaller capsule I suppose. Innovation Lead, RTÉ | VJ & MoJo (Mobile Journalism) Trainer -Circom Regional | Photographer | HDSLR shooter| Views are strictly personal, not those of my employer. I concur, the MKE2 does rather more rounded and, yes, refined (sorry) than the comparatively brash ClipMic Digital here. Perhaps a few seconds of whitespace might be helpful to get a sense of the differences in noise floor. But does this really merit the *additional* €269? Come to think of it, how do either of these compare to, say, the Røde smartLav+ at around €59? How steep is the cliff of diminishing returns? I think for the money the Rode Smart Lav+ is hard to beat. 7 Reasons Mobile will dominate the media by 2021. #Mojocon. The case for boutique V behemoth conferences. Mojocon returns. 29, 30 April 2016. Is Apple’s New iPod Touch the best budget #mojo device? Mojo solutions: Are we ready to make documentaries and longer form content with mobile? Mojocon is over but the mojo debate is just kicking off!